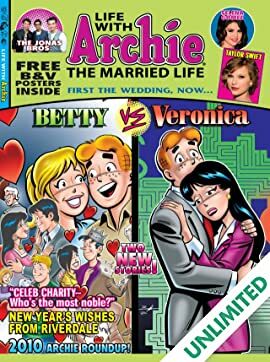 The 'Archie Marriage' phenomenon continues in this mega-hit magazine following Archie's married lives with both Betty and Veronica! 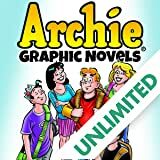 First, in 'Archie Loves Betty: You Win Some, You Lose Some,' Mr. Lodge's plot to destroy Archie has just begun. Who will the couple turn to when Betty is fired and Ambrose's Chowder House is in serious danger? Meanwhile, in 'Archie Loves Veronica: Taking Care of Business!' 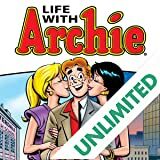 Archie and Veronica fight to fix their marriage miles apart. Veronica must choose between trusting her husband or her father. 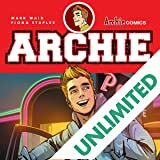 From the biggest storylines to the funniest compilations, the Archie Comics Graphic Novel series has it all! 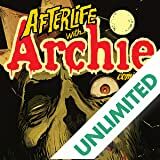 These books give you the most bang for your buck -- and there are several new editions popping up every month! 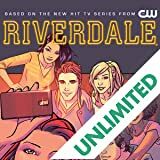 Be sure to stay tuned for the next awesome collection starring Archie, Jughead, Betty & Veronica and even Sabrina the Teenage Witch!